With a family with four kids, we are always on the go. Having two kids with food allergies makes this challenging at times. I am always prepared with packed meals and snacks from home if we don't have time for a sit down meal, but this can be quite tiring, as most of you know. I recently stumble across True Solution Protein Shakes which are ready-to-drink shakes packaged in shelf-stable containers. They come in delicious vanilla and chocolate flavors. And best of all.....they are free of the Top 8 allergens! No milk, no peanuts, no soy, no gluten, etc. A prepackaged protein drink that is safe for my kids with multiple food allergies! Amazing! I couldn't wait to get my hands on these. This is perfect for our on-the-go lifestyle. I can throw these in a cooler, and all the kids can enjoy this delicious treat. What they don't know is that each shake contains 17 g (plant) protein, 5 g fiber, 23 vitamins and minerals, and only 10 g natural sugar. There are no artificial colors or flavors and no preservatives either! 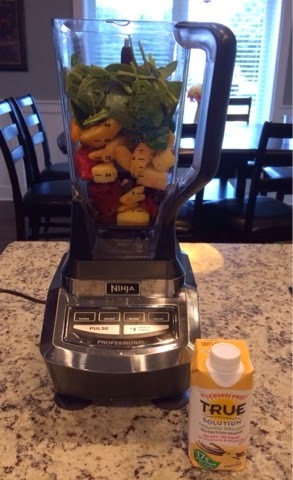 My kids have enjoyed this drink by itself as well as in smoothies. I also intend to do some baking with it (more to come on this). I can't wait to get more. At only $3 a shake, this is definitely an affordable product. 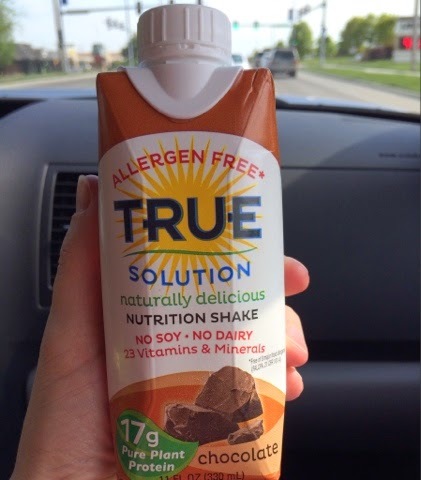 I also just found out that our local health food store carries True Solution Protein Shakes. I am eager to run out and get some more! Their website offers a store locator so you can check out where you can get these. You now have the chance to try a case for free! 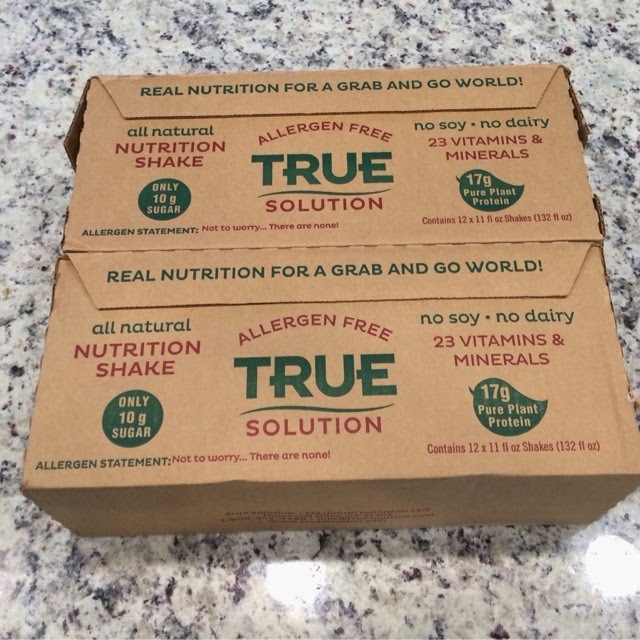 True Protein has offered to give away a case of either vanilla or chocolate to one lucky winner. You must be 18 years old to enter and live in the continental United States. To enter, simply comment below with your e-mail address or send me an e-mail at sarahpt213@gmail.com. Be sure to share why you would love to try this product. I'll be posting updates on my Facebook page throughout the giveaway, so if you haven't already, click on over and like my page. Contest ends on May 31, 2015 at 10:00 pm CST. One winner will be randomly selected and notified via Facebook and e-mail. I've never tried it and it isn't available for me locally. My son is allergic to eggs and nuts so we have a hard time buying shakes. Would love to win! My daughter is a vegetarian and has food allergies - finding a safe source of protein for her is important, but can be really tricky! Thanks! heathermcgrath at telus dot net. My son is a year old and we found out he was allergic to milk just before his bday. He drinks soy milk instead of cow's but I'd love to get some extra protein and variety in to him! 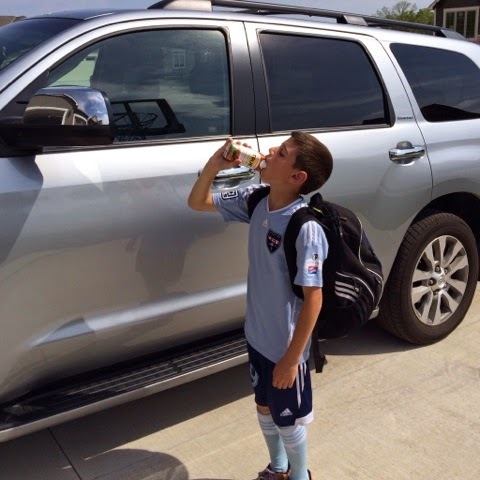 We're constantly at a loss trying to find simple, quick sources of nutrition (especially protein) for our kids. Mostly my youngest son who is allergic to wheat/gluten, soy, eggs, peanuts, beef/dairy, and pork. He has a rough time digesting things and something like this product may be perfect for him. I'd love to give this product a try! My 7yr old ds is newly diagnosed with eoe and has required us to go top 8 free. Eating is sometimes difficult because this is a big change for him. Anything I can do to ensure he is getting proper nutrition would not only put me at ease but he would be a happy camper as well. He loves his smoothies and shakes and think this product would help alot.